Image used under Flickr Creative Commons license from Alaskan Dude. 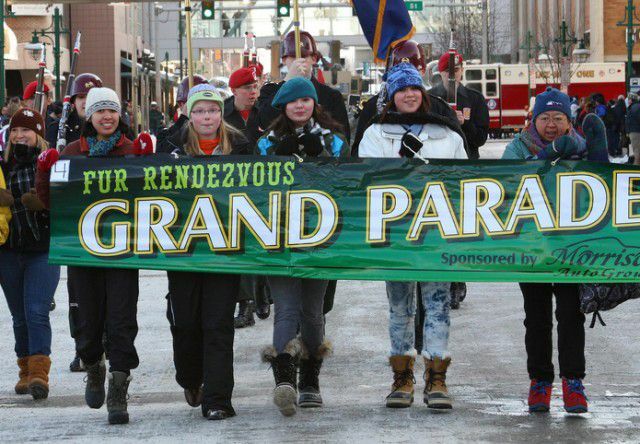 It’s hard to keep a party going for 80 years, but the folks at Anchorage Fur Rendezvous (or, as the locals call it, Fur Rondy) don’t seem to have much trouble with doing just that. This beloved winter festival is celebrating its 80th birthday and, like a good bottle of wine, it just gets better with age. From fireworks to outhouse races, the days between Feb. 27 and March 8 are packed with fun and quirky events the entire family will enjoy. When Fur Rondy began in 1935, there wasn’t much as far as entertainment goes in the (then) small town of Anchorage, population roughly 3,000. The festival started out as a three-day sports tournament that took place when miners and trappers gathered at Anchorage’s Fourth Avenue to sell their furs. Now in 2015, the Anchorage population has multiplied a hundredfold and the festival is bigger than ever, though it still maintains its unique identity. If the aforementioned outhouse races sound a little odd, rest assured, they are! The races are also some of the best free entertainment out there. This event is held on Saturday, Feb. 28, and spectators gather on the Fourth Avenue to watch 10-20 teams racing homemade, themed outhouses on skis down Fourth Avenue, in the heart of downtown. Outhouses are recognized for best theme, most colorful, cleanest, most realistic and more. The races are classic Alaska and truly a sight to behold. Spain has the Running of the Bulls each year; Fur Rondy’s answer to that is the Running of the Reindeer. If a herd of caribou breathing down your neck sounds like a good time, registration is open until March 4. We’re usually perfectly content watching the madness unfold from the sidelines, but we guarantee – no matter what side you’re on, there’s never a dull moment in this event where costumed participants and a bunch of reindeer run amok! In true Alaska Native tradition, another of our favorite Rondy events is the annual blanket toss, a mainstay of the festival since 1950. A walrus skin is stretched wide and the crowd holds onto the edges as one person in the middle is bounced much like on a trampoline. Hang back and help hold the blanket or brave the toss yourself – but be warned, you could very well be catching up to 20 feet of air! For the active festivalgoer, the snowshoe softball tournament will get your adrenaline pumping. You might not be so quick on your feet in a pair of snowshoes, but the fun you’ll have will easily make up for it. Teams participating in this tournament dress up in their wackiest outfits (think snowsuits plus tutus) and the tournament runs from Feb. 28 – March 1. Amidst all the classic Fur Rondy fun, there’s a little bit of choreography, too. Rondy on Ice is presented by the Alaska Figure Skating Club and the show is always sure to entertain.. This is one of the festival’s most longstanding events and features figure skaters as young as two years old. The show this year is also one of Anchorage’s official centennial events and showcases the past 100 years of life in Alaska’s largest city. Sit back and enjoy one of the loveliest history lessons you’ve ever had. Whether you’re participating in the sporting events, enjoying winter carnival rides or just watching it all unfold, Fur Rondy is one of the best ways to get outside in the middle of winter, and will continue to entertain Alaskans and visitors alike for generations to come. Learn more about this awesome festival here.